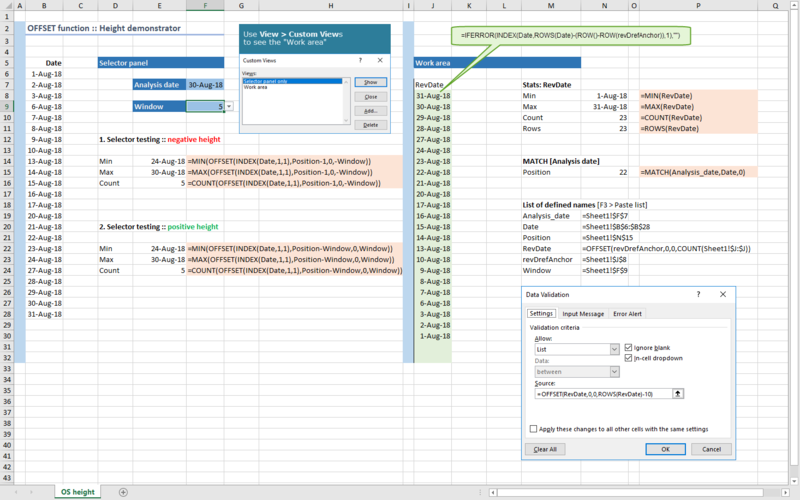 This example includes a development worksheet for implementation of the Stock Analyser project. The analyst can select an analysis date (start date) and an associated data window of certain length, that returns a date vector (array) of historical dates, earlier in calendar time than the analysis date. The dates are in ascending order, thus the window extends to rows above the start date. Custom views in the Work area panel that hide a drawing layer image.